Free Marketing Advice from the US Coast Guard – StratGo Marketing. Plug-in marketing department services. StratGo Marketing. Plug-in marketing department services. Credit: United States Coast Guard. 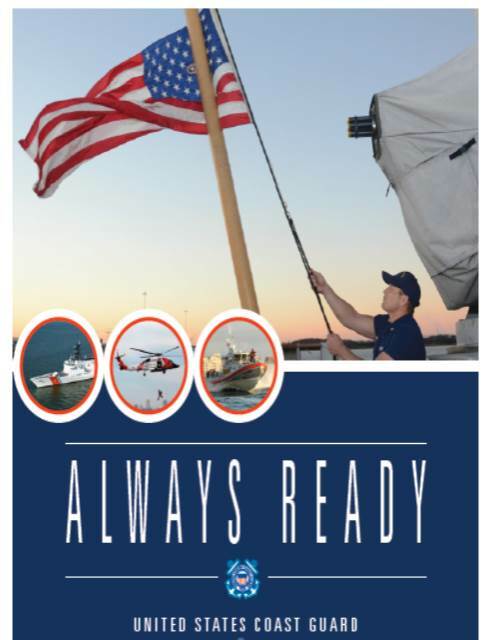 The motto for the United States Coast Guard is Always Ready (Semper Paratus). It’s a good mindset for marketers, too. The best are ready to adapt, change and adjust as needed, guided by a solid business strategy. Of course, sometimes you also have to be ready to change the strategy. Being ready usually means you’re in a position to be successful. Consider one of my favorite quotes: Luck is when preparation meets opportunity. What would you say is the number one most important thing for marketers to be ready about/ready for in 2015? > Same as always: how the target audience members feel about the product! > In dynamic markets, where new technologies and business models continue to emerge, competition increases and customer expectations evolve, marketers need to understand the impacts on and desires of their customers, make timely decision on where to place their strategic bets and be ready to adjust course as they watch things unfold. No small task but fun stuff! > Digitally, to place more focus on one-on-one communication via communities of like-minded individuals. Find more “human” ways to interact with your customers so you can build authenticity and trust. > How technological changes and increased control by consumers are changing the necessary priorities for marketeers (from apps to mobile to data/analytics to where searches are happening). > Integrated media, content, context – integrated marketing based on realistic goals and objectives. The blending of earned and sponsored content will continue to blur, so marketers need to understand the importance of an integrated approach to marketing, online advertising and PR. Alpine also sounded a warning about social media activity. She suggested that companies engage employees with education about potential negative spillover from personal accounts and safe-use, best practices. What is the number one most important thing for marketers to be ready about/ready for in 2015? The motto for the United States Coast Guard is Always Ready (Semper Paratus). It’s a good mindset for marketers, too. Harvey Chimoff is a marketing and business team leader who drives performance in consumer products and manufacturing companies. Receive marketing ideas and commentary that inform, provoke thought and spur action. Automatically delivered by WordPress. I write about business and marketing. In each post, I share insights, observations & practical tips about marketing strategy and tactics. I tell you what I think, and why, based on what I know at a particular point in time. My writing is inspired by current examples here in the United States and globally. Expect to see commentary across a variety of industries, products, and services, which cater to both B2B (business) and B2C (consumer) targets. This blog is designed for marketing and business professionals. At the same time, it should be accessible and relevant to other functional pros who want a better understanding of and/or some insight into the world of marketing. I think marketers-on-the-rise can benefit, too. Posting frequency is about once per month, usually on Tuesday. I don’t force content to fit a publishing schedule. I welcome your comments, even if you have a different point-of-view. Just keep them professional, constructive and clean if you want them approved.